This background was created using the Stampin' Up! Happy Celebrations stamp set. Now seriously.. I don't know why I haven't used that circle stamp before. You'll soon see me polka-dotting the town! 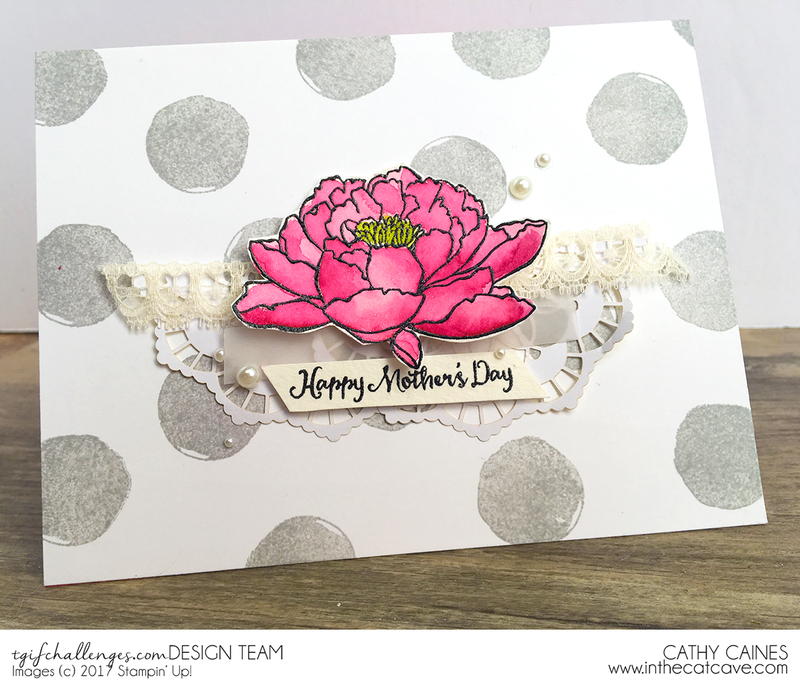 After I created the background, I had an extra water coloured flower and die cuts that I popped onto this card. It was coloured using melon mambo refill ink and an aquapainter. 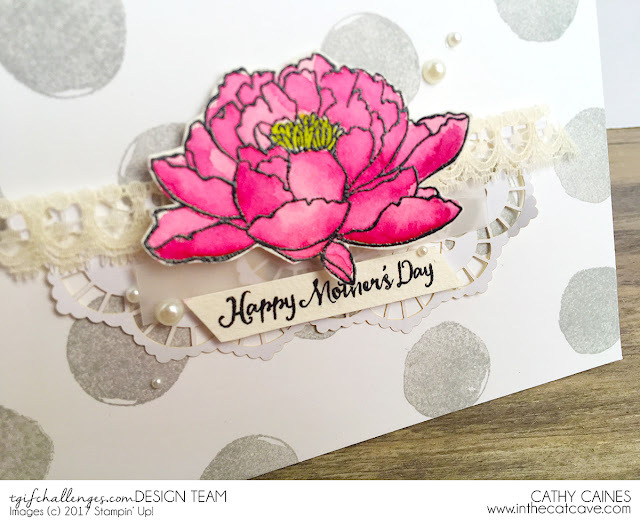 Its the perfect card to give for mother's day... if only I could find this card after I photographed it. So this week, join me and the TGIF Challenge Design Team in playing with polka dots. Very fun! Going to have to CASE this someday! Love this layout and the use of the polka dots. TFS!! Love your #weekinthelife posts.